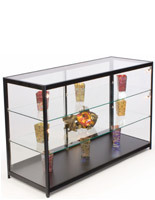 This 6-foot LED glass top merchandise display is 38" tall and designed for in-store use as a cash counter, retail accessory, or gallery fixture. 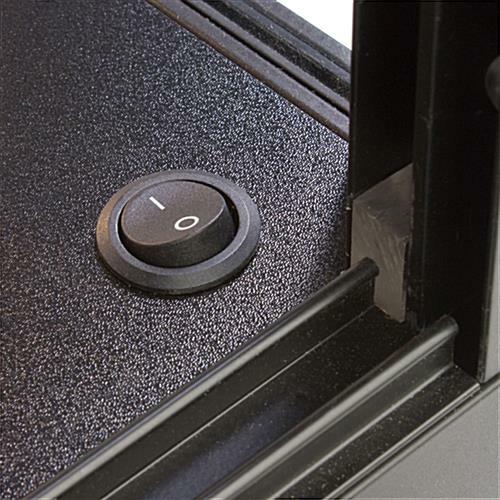 Each full vision locking case features sturdy black finish aluminum framing for a modern look that will complement any environment. 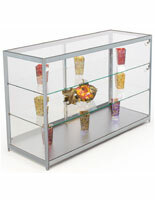 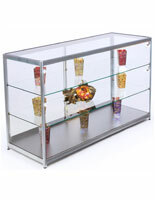 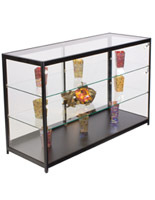 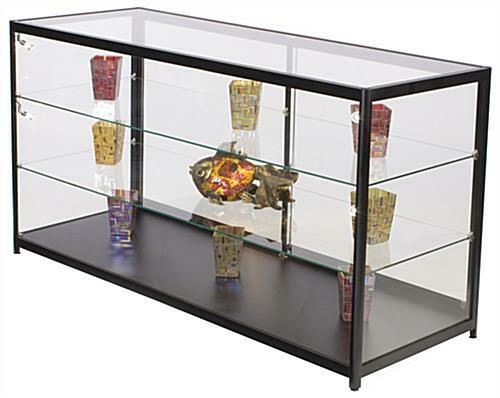 This illuminated glass top merchandise display with internal side-lighting includes four energy-efficient LED bulbs. 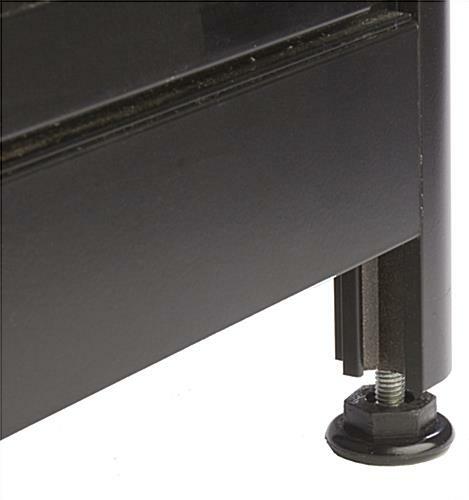 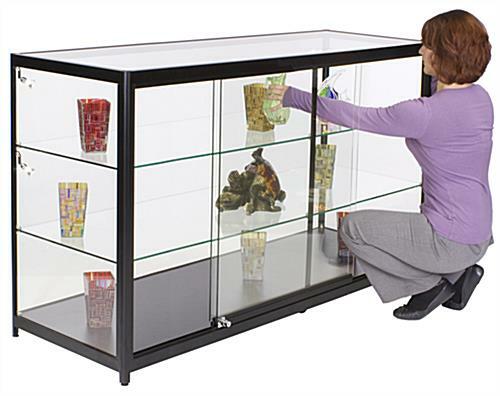 Two adjustable height shelves, sliding access doors, and built in floor levelers make this versatile freestanding fixture easy to adapt to sales and gallery items, collectibles, antiques, and samples or archival displays. 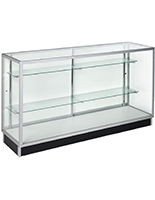 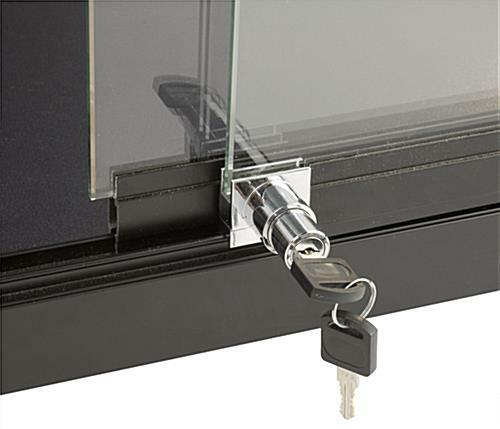 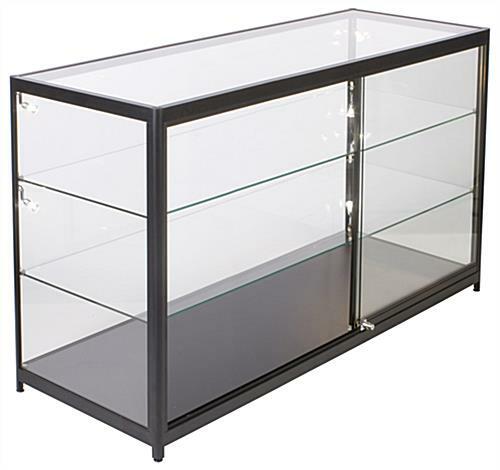 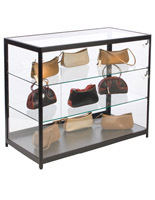 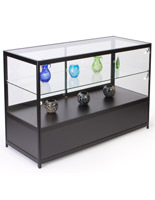 This lockable tempered glass top merchandise display is designed to keep contents protected and secure without limiting visibility. 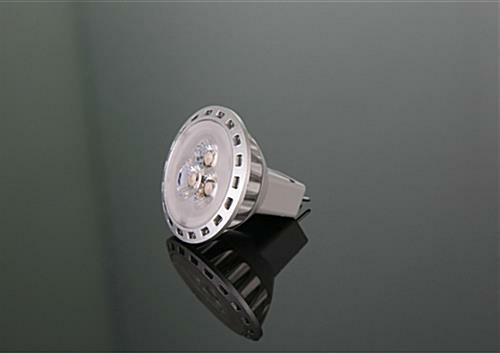 Each 38" tall illuminated fixture can be used alone or as part of a larger customized cashwrap configuration as desired.